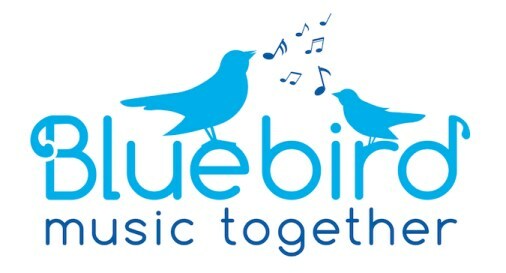 Welcome to Bluebird Music Together. The following policies and procedures have been put in place to provide accessible, safe classrooms for your children. Please help to make our classes run efficiently by adhering to the following guidelines. Valuables: Bring all valuables in the classroom with you. Footwear: Please remove your shoes. Feel free to bring clean slippers or socks to wear if you'd like. Distractions: Please keep all containers of food or drink zipped up and out of reach during class. There may be children with food allergies in class. Please do not take pictures or videos during class, as this takes you away from being present with your child and can be a distraction. If you'd like a photo opportunity we will be happy to accommodate you before or after class. We try to minimize all distractions and hazards for everyone. Visiting guests: You may bring adult guests without calling ahead. Grandparents, parents, aunts, uncles, etc. are welcome! Please check in advance before bringing visiting children. Older siblings may attend class up to two times per semester at no additional charge, but please call ahead to assure there is space. Guests are encouraged to fully participate as active members of the class. Public space: Many of our classes are located in public spaces (churches, dance studios, etc). We are grateful that these spaces provide a safe and clean environment for our program. Please be aware that others work in these locations and keep talking to a minimum in the hallways. Health Policy: We care about your family's health & the health of our teachers. This is why we sanitize all used classroom instruments after every class. If you or your child has had a fever or other signs of a contagious illness within the past 24 hours, please do not come to class. Use common sense if you are not sure, stay home & schedule a make up class here instead. Make-up policy: 3 make-up classes per family are allowed each semester, as space permits. Make-ups may be scheduled on our website by choosing "Schedule a makeup". All makeups must be used during the current semester. Please schedule make-ups as soon as you need them. Space is limited in classes during the last weeks of the semester. If you have questions regarding this policy, or have a special request, contact the office at (315) 427-6985. Inclement weather: Bluebird Music Together will most often follow public school policy with regard to class cancellations. This is area specific, for example, if your class is in Dewitt, we will close it if Jamesville Dewitt schools close. Occasionally, we make the decision to cancel classes regardless of the school closing. In either case you will be notified via an email blast and on our website, Instagram, and Facebook page. Semester extensions due to weather cancellations will be confirmed via email. Liability Release: By attending class, you agree to release Bluebird Music Together and it's associates and facilites liability relating to injuries or damages that may occur inside class or outside class when using class activites. Participation: We urge you or your child's caregiver to participate in class. The children are free to develop naturally and in their own time and style. Keep in mind that you are here as a model for your child even if you aren't feeling particularly confident about your own musical abilities. If your child sees you making music and having a good time, he or she is more likely to develop that disposition. So relax, let your child "be", and have some musical fun!